What did we learn [from the Minneapolis Fed report]? 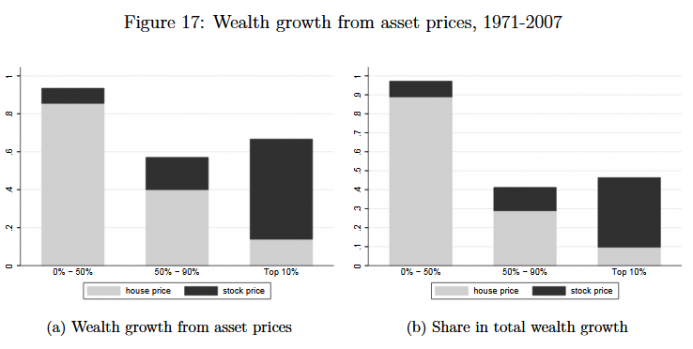 This new dataset shows clearly that U.S. wealth inequality is the worst it has been throughout the entire U.S. post-war period. We also know now that the U.S. middle class is even more“hollowed out” than we thought in terms of income, with any gains made by the lower-middle class sharply reversed after 2007. 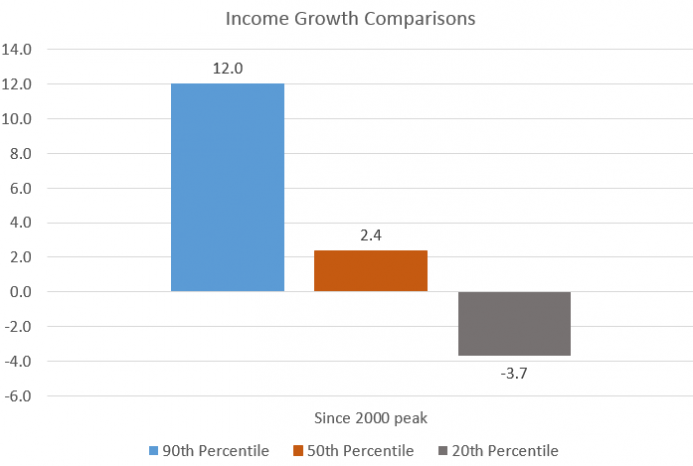 A closer look at income data also suggests that income growth has been especially anemic since 2007. Using data from the Census Bureau's 2017 report on income and poverty, we find that incomes for the 90th percentile are increasingly pulling away from both the median (50th percentile) income and from the 20th-percentile income. 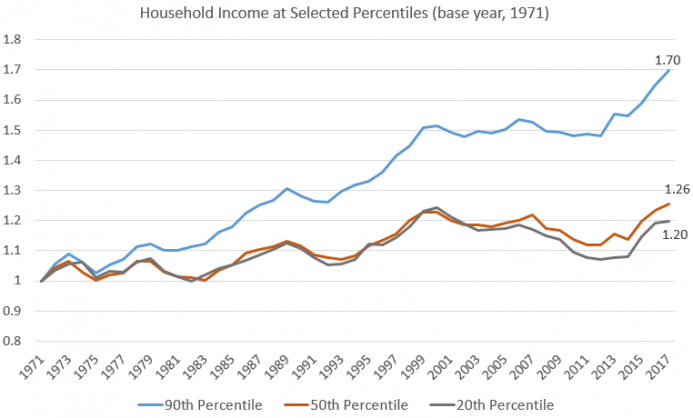 Indeed, since the year 2000, income increased 12 percent for the 90th percentile, but only 2.4 percent for the median household. It declined 3.7 percent at the 20th percentile. That's according to Edward Wolff's 2007 report. 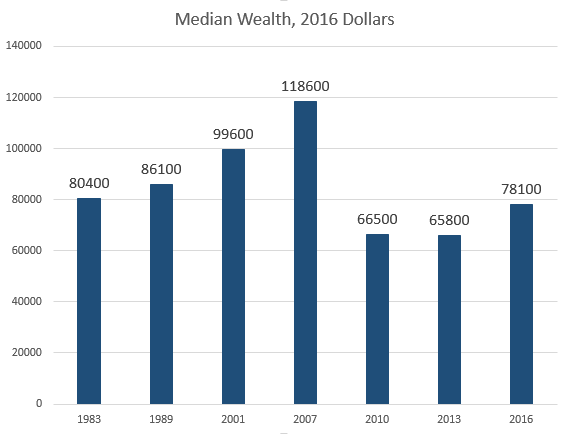 According to the Fed's 2017 survey on consumer finances, median wealth reached $97,300, which is still down from 2007's level of $139,700. 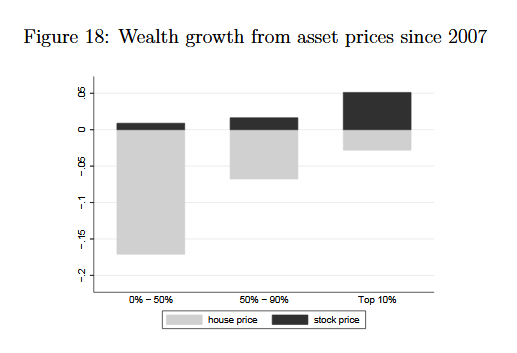 Those in the 90th percentile experienced much more growth in wealth, with an increase from $1,054,000 in 2007 to $1,186,000 in 2016. So we might then ask ourselves: "why don't more moderate- and low-income people just buy more stocks?" While the central bank certainly can't be blamed for all the factors at play here, it nevertheless plays a significant role. Through a combination of inflationary monetary policy, regulation, and asset purchases, the Fed has made a sizable contribution to an economy that favors certain types of investments, certain institutions, and certain purchasing patterns. Fed policy now favors high-income earners and investors over low- or moderate- income earners and investors. 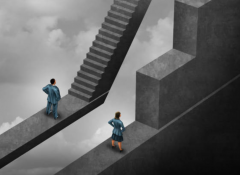 The result has been a rapidly widening wealth an income gap over the past decade.